Hi Glen. Nice looking block-front. Hope you will show it finished with the hardware. Might I ask what color aniline dye you used. I have a similar problem with two distinctly different looking mahogany types on the writing table. Your blog may be a real help–thanks. Gerald, I will be sure to post photos of the chest when it’s complete. 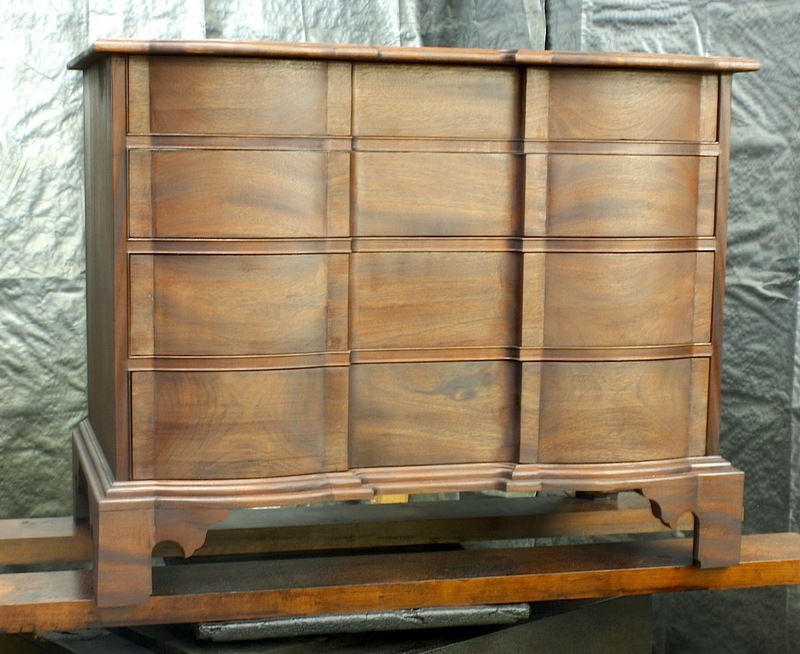 For this chest, I used Dark Antique Sheraton aniline dye from Moser’s. It is undoubtedly my favorite color because it leans more to the brown shades as opposed to reds. This color, in the charts at woodworker.com, is listed as a dye for mahogany, but I find I like it on cherry, too.